Do you need a security camera for your front-door? Do you need programmable lighting? Are smart homes really innovative? Paul and Rich talk about the pros and cons of connected homes, the security of our information, and the impossibility of competing with giant platforms like Google and Amazon. Smart Homes, Foolish People: This week Paul Ford and Rich Ziade sit down to talk about connected homes. We talk discuss the pros and cons of distributed networks, the fear of sharing data with giant platform companies, and ask if smart-tech is eating away at our creativity. Paul also predicts that one of Zuckerberg’s 2018 goals will clam-digging! 5:15 — Rich: “All of this stuff is so you have to do less. I used to love that sense of achievement when I had a 486 computer and when I finally got it to print in colour, because I bought a colour printer that took 20 minutes to print a colour page and it only worked right because I got the latest drivers that were crashing before, but finally it was working right. That felt so good. We’re eating away at the skills needed to do some incredibly complex things.” 7:57 — Paul: “This is the fundamental flaw of everything though right? Which is that your home is increasingly becoming a set of distributed network processes and the way the cable companies and the routers are set up it’s very difficult to gain access to those from outside of your home” 11:44 — Paul: “What’s happening is you’re seeing the same thing that always happens, which is that enormous consolidated players are starting to get their platforms together. They’ll get into a partnership. Like Amazon, I’m sure, is talking to Netgear right now. 13:30 — Paul:“The big platforms, because of their ability to form relationships with other big platforms, always tend to win.” 14:17— Paul: “In ten, 15 years from now this will be built in like HVAC.” A full transcript of this episode is available. 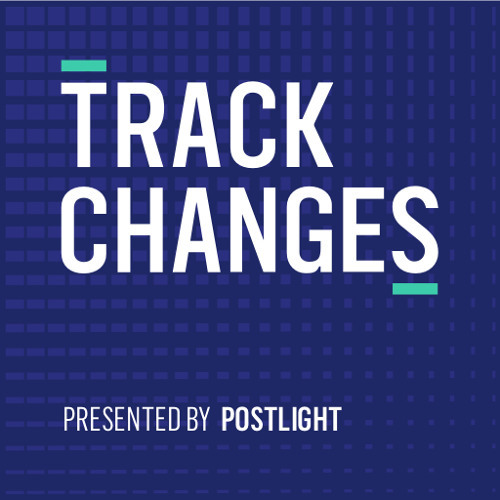 LINKS Alexa Echo Dot John Herrman Shitphone: A Love Story — John Herrmann Speech to Text Brother Printer Foscam Prince of Persia Video Game Track Changes is the weekly technology and culture podcast from Postlight, hosted by Paul Ford and Rich Ziade. Production, show notes and transcripts by EDITAUDIO. Podcast logo and design by Will Denton of Postlight. @andrew-gray-2000: back in the good ol days! @bruces-4: we agree with the cortana sentiment, not sure about the Austin one though! it ran on my 286/12Mhz w/ 1MB of RAM! Users who like #0105 Are Smart Homes the new HVAC? : Paul and Rich discuss the pros and cons of a connected home. Users who reposted #0105 Are Smart Homes the new HVAC? : Paul and Rich discuss the pros and cons of a connected home. Playlists containing #0105 Are Smart Homes the new HVAC? : Paul and Rich discuss the pros and cons of a connected home. More tracks like #0105 Are Smart Homes the new HVAC? : Paul and Rich discuss the pros and cons of a connected home.